Dee-diddle-dee-dee it’s a Leprachaun! Actually, a Lepracadaver! Sure he may be dead, but he still loves potatoes… and Lucky Charms… and whiskey… and, of course, gold. Oh how he loves gold! But more than anything he loves brains! 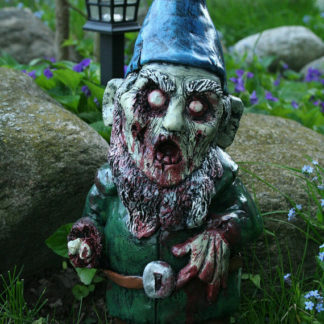 Brains, and blood and body parts… they’re magically delicious! 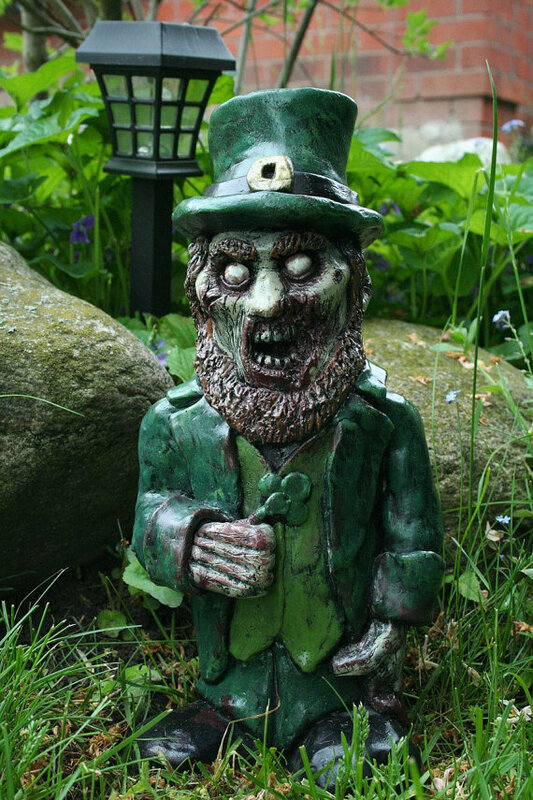 12″tall and 8lbs of pure Irish undead. 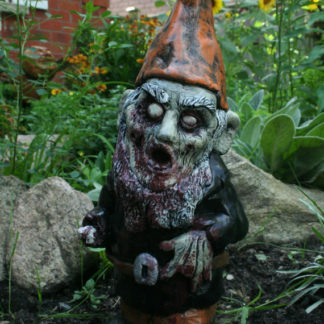 Bring the flesh feast of St. Patrick to your garden today, catch him quick before he gets away! Each of these mythical walking corpses are sculpted meticulously in water/oil clay, cast in rock solid premium grade gypsum cement, and hand-painted to bring out all of their ghoulish detail (and to ensure that no two are exactly the same). 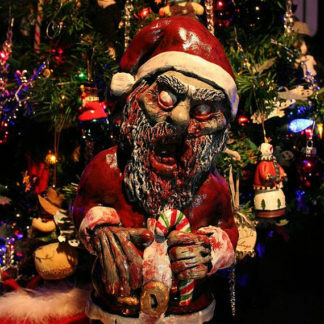 Lastly, they are each coated in a high gloss outdoor sealer to prevent any further decay and to help these carnivorous cadavers withstand the elements in their continuous hunt for human flesh.